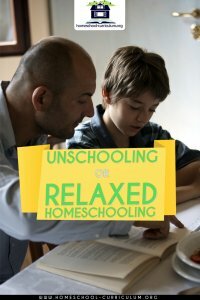 Relaxed Homeschooling and “Unschooling” are methods some parents follow when home schooling their children. This method was developed by John Holt. It stresses that a parent should not authoritatively direct a child’s education. Instead, they are . Un-schooling isn’t a way of saying the children are not being educated – but a way of saying that they are not being educated in a rigid and traditional manner. The main point behind what is sometimes referred to as “John Holt Unschooling” is a student learns through the experiences they have in their lives. Their parents can live their lives with their children at the same moment, thereby helping them to learn through each experience. The theory is by schooling in this way, it is interest-led, or child-led, and the learning comes through each different experience that the child has in his or her life. These parents also believe students will be more successful at learning when he or she is not forced to learn things out of books. While there are some textbooks that might be used in this method, they are not central to the education. The main idea that Holt asserted was that there is no specific body of knowledge that is required of each student, or that should be required of a child. For example, a child who is unschooled will learn to read in order to be able to read about other cultures or history, or something else that they are interested in. They will learn their math skills by working with the family business or even by operating a small business of their own as they grow. 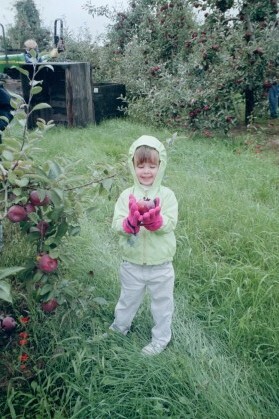 They might learn about animals by caring for those animals, and will learn about plants by growing and raising the plants on their own. Holt’s theory is they will learn about the things that are going on in the world around them, and through those things they will be taught issues such as politics and history. The difference between un-schooling and traditional homeschooling methods is that a traditionally homeschooled child might indeed do all of these things in order to learn, but an unschooled individual will actually be the one to initiate these things – not the parent. Using this educational approach, parents hope that they can instill all the knowledge in a child that he or she actually needs, but believe that the knowledge will be better received and more completely followed because the child initiates the learning on his or her own. You can buy The Unschooling Handbook on Amazon. The biggest difference in between what’s referred to as “relaxed homeschooling” and “unschooling,” is this: Parents who plan and teach without being asked to by the child are relaxed homeschoolers (though usually in a very non-traditional hands-on manner!) Parents who only “teach” if their children ask to be taught about something, or who simply point their children in general directions so that they might find answers and “teach themselves” are actually unschooling. Some “relaxed homeschoolers” call themselves “partial unschoolers” because they cannot fully trust that their children can totally direct their own education. Relaxed homeschooling parents choose to teach their children the subjects they think are absolutely necessary, and then give them as much freedom as possible to pursue their interests.